The New York State Department of Environmental Conservation (DEC) released final versions of the Environmental Conservation Law (ECL) and the Clean Water Act (CWA) Concentrated Animal Feeding Operation (CAFO) permits on January 25, 2017. There are several distinctive compliance changes to these new permits that new or current permittees should take note of. NYFB has been working with DEC and the CAFO Workgroup to develop permits that are workable for farmers, while protecting our water resources. Both permits have several compliance, recording and reporting changes that will affect farms. Farms are strongly encouraged to reach out to their Certified Nutrient Management Planner to discuss how the new CAFO permits will influence their farm and if any additional work needs to be completed before the compliance deadline. Both permits, through the NRCS Nutrient Management Standard (590) and Cornell Revised Winter and Wet Manure Spreading Guidelines, will place more restrictions on winter spreading and a greater need for manure storage. Farmers should read the changes to the manure management and reporting requirements as well as wet weather spreading restrictions. The ECL permit will require the farm to have all its Best Management Practices (BMPs) implemented, submit a Notice of Intent and CNMP certification, and the farm must demonstrate “no discharge.” DEC defines “no discharge” as operating and maintaining BMPs to prevent a discharge up to a 100-year, 24-hour storm event. The farm and its planner will now have to develop wet weather standard operating procedures in order to meet this requirement. Farms looking to gain coverage under the ECL permit must submit a completed Notice of Intent form and CNMP certification within 150 days of publishing of the permits (by June 24, 2017). DEC will then review the documents and notify the applicant of approval for coverage under the ECL permit. The ECL permit goes into effect on July 24, 2017. A copy of the ECL Permit can be found here. A copy of the ECL Permit Fact Sheet can be found here. The CWA permit will require the farm to be fully implemented and submit a Notice of Intent and Annual Nutrient Management Plan. The CWA permit will also require the farm’s ANMP to be subject to a public comment period in the Environmental Notice Bulletin. A significant change in the operation of the farm will require a new public notice if the change is not in accordance with the CNMP and NRCS standards. Farms who wish to be covered under the CWA permit must submit a completed Notice of Intent Form and Annual Nutrient Management Plan within 120 days calendar days of publishing the permits (by May 25, 2017). DEC will then review and submit for public participation. DEC will notify the applicant when approved for coverage under the CWA permit. The CWA permit goes into effect on July 24, 2017. A copy of the CWA Permit can be found here. A copy of the CWA Permit Fact Sheet can be found here. NYFB encourages farms to take advantage of knowledgeable resources, like PRO-DAIRY, NRCS staff, and Soil and Water Conservation District staff, to improve their nutrient management program and bring resiliency to their operation when weather or field conditions do not allow for spreading. 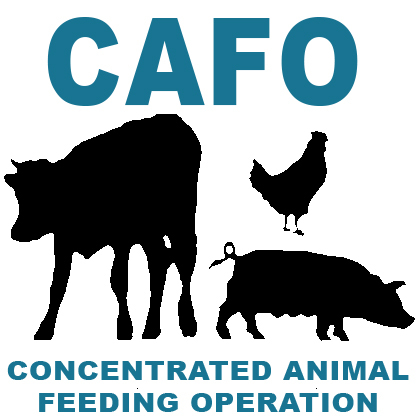 Members should watch their emails for dates for the CAFO roadshow that will be taking place in February. The roadshows will be an opportunity for farmers and planners to talk with DEC and Department of Agriculture and Market officials about the new permits and ask questions about the new permits and implementation. NYFB is aware that these new permits may create significant hurdles for some farms, particularly financial challenges in attaining compliance during this difficult and extended milk pricing period. The State is allocating at least $50 million for manure storage, but that funding still needs to get out to producers. NYFB has talked at length with DEC and the Department of Agriculture and Markets about our concerns regarding the timing of compliance, but invite you to reach out to our office when you have assessed any individual farm concerns so we are fully aware of problems. Call Kelly Young or Lauren Williams at 1-800-342-4143. In the meantime, farms are strongly encouraged to review the permits and attend the CAFO roadshows to ask DEC questions. More information on the CAFO permits can be found here.